Finally we had a sunny day and I ventured out to have a quick look round the garden. The hellebore flowers and the hebe foliage are looking colourful, but that was about all. So feeling impatient I’ve cheated for my spring bouquet and bought some tulips to add a little more flower power. These tulips are Libretto Parrot and will open into a frilly, striped affair. I’m sure I used to have pink and green stripy tulips (Greenland) in the front garden, but I don’t think I planted them deep enough to survive more than one season. Still, these parrots will bring a burst of spring colour indoors. Garden visiting is a popular pastime and the beauty of garden visiting is gardens are an ever changing canvas. Traditionally, in the autumn people go to admire autumnal tree colour, but in a thoughtfully designed garden there are still plenty of colourful shrubs and flowers to see. At the beginning of October my own garden was looking rather dull and when my sister came to visit it was the perfect opportunity to get out and soak up some inspiration from a nationally renowned garden, The Old Vicarage, East Ruston in Norfolk. It was a very bright, sunny afternoon, really too bright for exciting photos, but I think you’ll get some idea of what a special and unusual garden this is. View of Happisburgh Church from the Apple Walk. Old fashioned, traditional apple varieties underplanted with Nepeta mussinii Six Hills Giant. 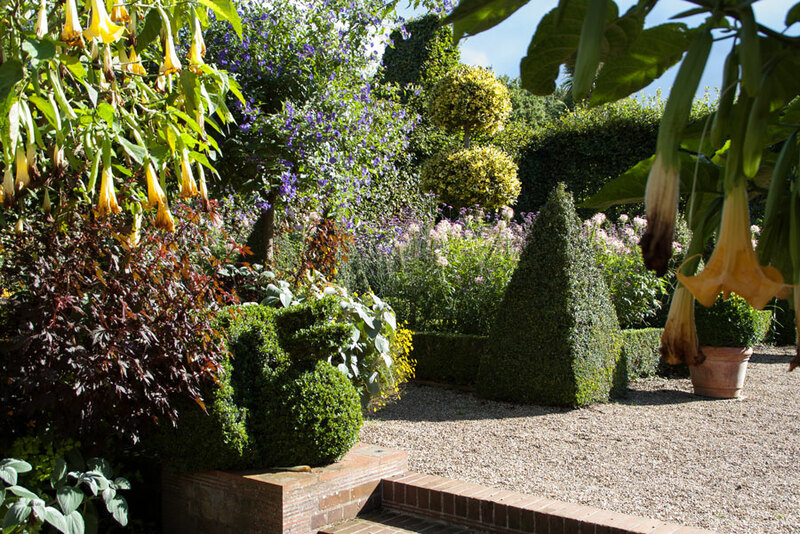 The Dutch Garden with the beautiful yellow Brugmansia flowers drooping into the shot. 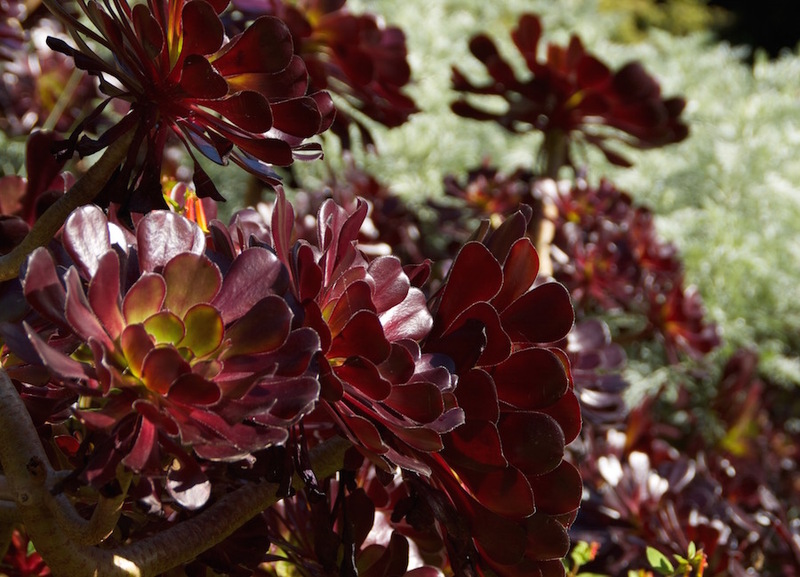 and gravel areas brimming with striking succulents such as these rich Aeonium arboreum Schwarzkopf. The Entrance Drive and Courtyard area is planted up with the dramatic Aeonium arboreum Schwartzkopf. The Old Vicarage, East Ruston is only about a mile and a half from Happisburgh (pronounced haze..bra, of course) on the coast and as such, together with plenty of shelter/windbreak planting, has a microclimate with very little frost. 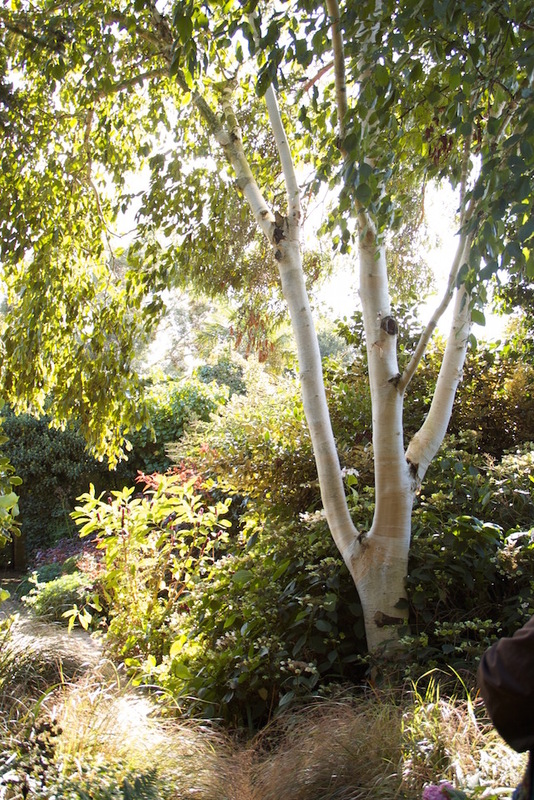 The result of this means a greater, diverse range of plants can survive and the owners have developed a less traditional, innovative set of garden plantings and garden rooms such as the captivating Tree Fern Garden. 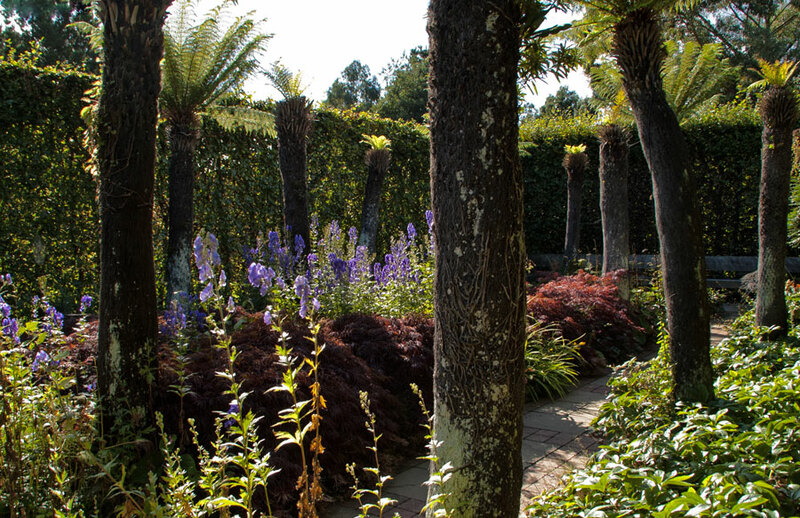 Dicksonia antarctica underplanted with the late flowering aconitum and a river of acers. 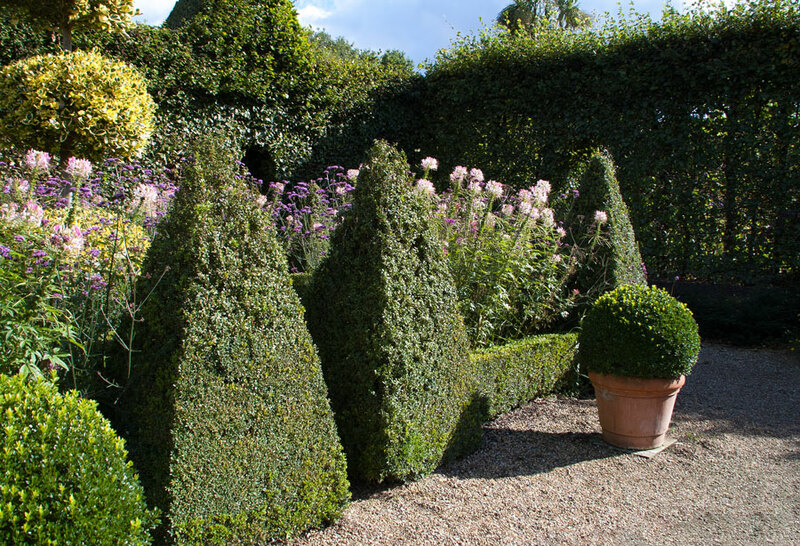 There’s also one of my favourite design combinations informally, romantically planted beds restrained and ordered by neat formal box hedging accented with geometric topiary. Floating, soft flowers and formal topiary. The sun was bright, but low enough in the sky to create some drama looking across the King’s Walk catching the yew topiary in all its disciplined stature. Yew topiary lining the King’s Walk. 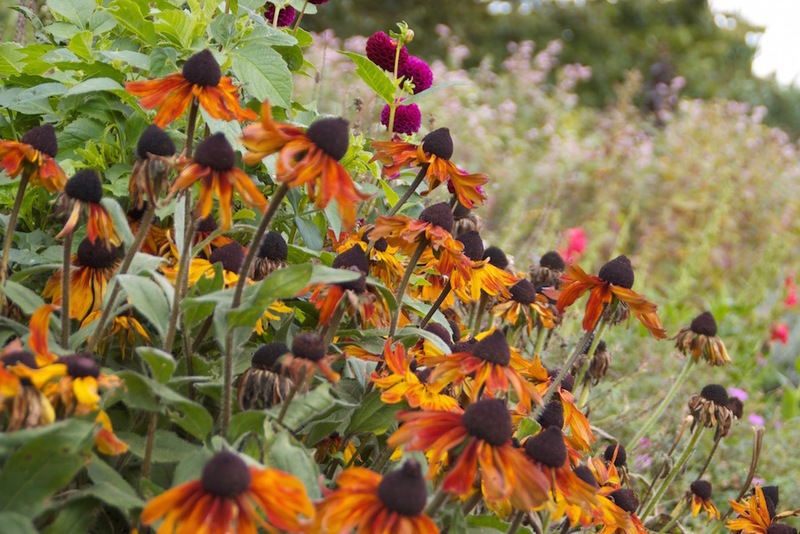 And, at this time of year it’s sunflowers, dahlias, heleniums in formal beds and, of course, in the cutting garden. Outside wall long border of the walled Diamond Jubilee Garden. Plenty of colour in the walled Diamond Jubilee Garden. 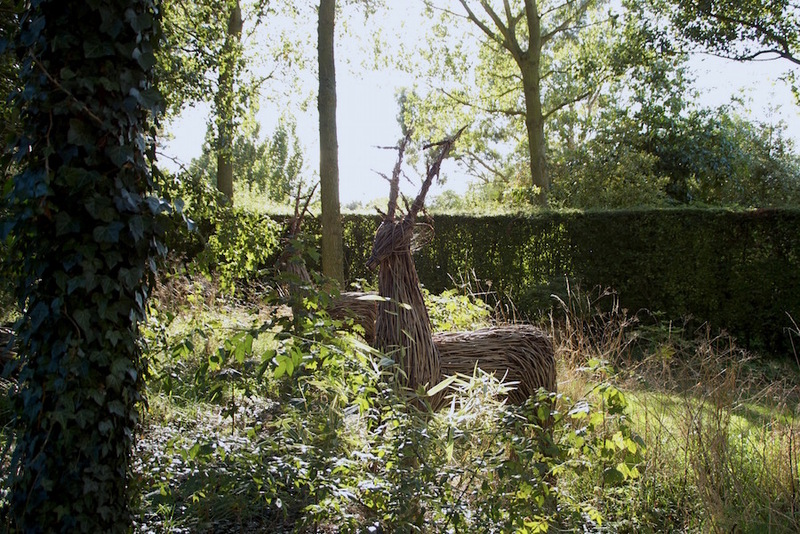 And, finally, I’m not usually a fan of contemporary art in gardens, but I thought this discrete, nervous-looking but welcoming family of deer just on the wooded boundary between the car park and the garden entrance didn’t look out of place.